The Chillicothe Municipal Court computer record information disclosed by this system is current only within the limitations of the Chillicothe Municipal Court data retrieval system. There will be a delay between court filings and judicial action and the posting of such data by the clerk of the Chillicothe Municipal Court for some or all of the filing types. The aforesaid delay could be at least twenty-four hours, and may be substantially longer. The User of this system is hereby notified that any reliance on the data displayed on the screen is at your own risk and liability. Information on the system may also be altered, amended, or modified without notice. 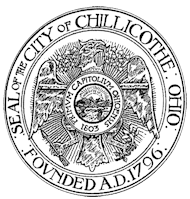 If you require verified and timely information as to the records of the Chillicothe Municipal Court, you may call during regular business hours (740).773.3515 to speak directly to the clerk or deputy clerk or access the records at the Chillicothe Municipal Court located at 95 East Main Street, Chillicothe, Ohio 45601. LAW ENFORCEMENT OFFICERS ARE CAUTIONED THAT ANY WARRANT INFORMATION DISPLAYED MUST BE VERIFIED BY THE CLERK IN PERSON AS TO ACCURACY BEFORE ANY OFFICIAL ACTION IS TAKEN. FAILURE TO DO SO MAY RESULT IN ADVERSE ADMINISTRATIVE OR COURT ACTION. Any misuse of the data displayed is the sole responsibility of the user. The use of the data or access to this computer system must be in full compliance with all laws, rules, and regulations of the State of Ohio, The Ohio Supreme Court, The Chillicothe Municipal Court, and The United States of America. Any violations of said laws, rules, and regulations WILL subject the user to criminal, and/or civil sanctions. All materials on this website are protected by U.S. copyright laws, and any unlawful use of said copyrighted material is in direct violation of federal law. By entering this site, you, the user, accept full responsibility for any misuse of the data it contains that may result in the administering of mental or physical harm to any person(s).